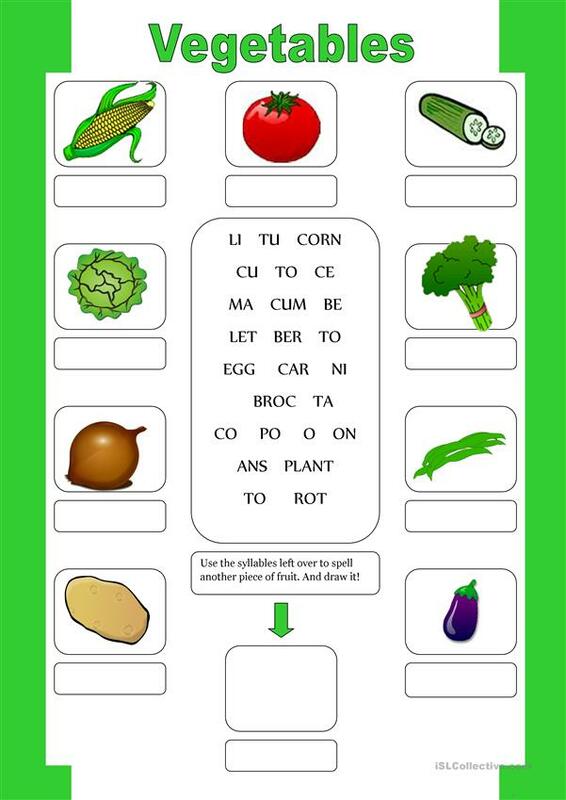 Label the vegetables and use the left over syllables for the empty box. Which vegetable can the student draw in the box? This downloadable worksheet is best suited for high school students, elementary school students and adults at Beginner (pre-A1), Pre-intermediate (A2) and Intermediate (B1) level. It can be used for working on your groups' Spelling and Writing skills. It focuses on the theme of Food.